Mourners paid their respects outside Emanuel African Methodist Episcopal Church. Emanuel African Methodist Episcopal Church, shown in 1891, is considered the oldest AME church in the South. Emanuel African Methodist Episcopal Church has been set aflame, outlawed, and ravaged by an earthquake. Each time, the congregation has rebuilt and sprung back into position as a beacon for the black population of Charleston, S.C.
Now, what’s considered the oldest AME church in the South must face down another disaster: nine people — including pastor Clementa Pinckney — were shot and killed there Wednesday night during a prayer meeting. A look at the church’s history shows the scars of slavery and racism, but also sheds light on how African-American religious institutions developed and endured. 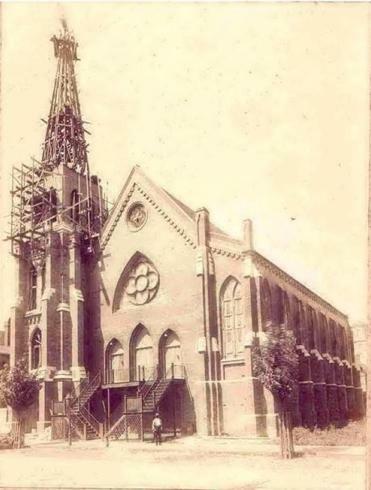 The structure, built in 1891, is often called “Mother Emanuel” because of its outsized role in the region’s AME church tradition. “This church has so much amazing history,” said Katherine Saunders Pemberton, manager of research and education at the Historic Charleston Foundation. Emanuel began in 1816 under the leadership of a free black man, the Rev. Morris Brown. Brown led a group of black members who had withdrawn from Charleston’s Methodist Episcopal church, according to Emanuel’s website, and aligned the group with the Free African Society, founded three decades earlier in Philadelphia. In its early history, the church became a focal point of antislavery activism. Denmark Vesey, a black man who had purchased his freedom with lottery winnings and one of the church’s founders, attempted to organize a major 1821 slave uprising in Charleston. When authorities discovered the plot, they arrested 313 people, and put 35 — including Vesey — to death, according to the National Park Service, which has designated the church a historically significant site. In the hysteria that followed, the church was burned. Brown, suspected in the plot but not convicted, fled to Philadelphia, where he took a top role with the AME denomination. The Charleston church was soon rebuilt, but in 1834 was banned as part of a move to outlaw all-black churches. The congregation continued meeting secretly until 1865, and after the Civil War it was rebuilt and the congregation took on the Emanuel name. In 1886, disaster struck again, and the church was severely damaged by an earthquake. In 1891, it was restored in its current form. The church continued to play a role in Charleston life and in the national discussion over race in the 20th century. The Rev. Martin Luther King Jr. visited the church during the civil rights movement. 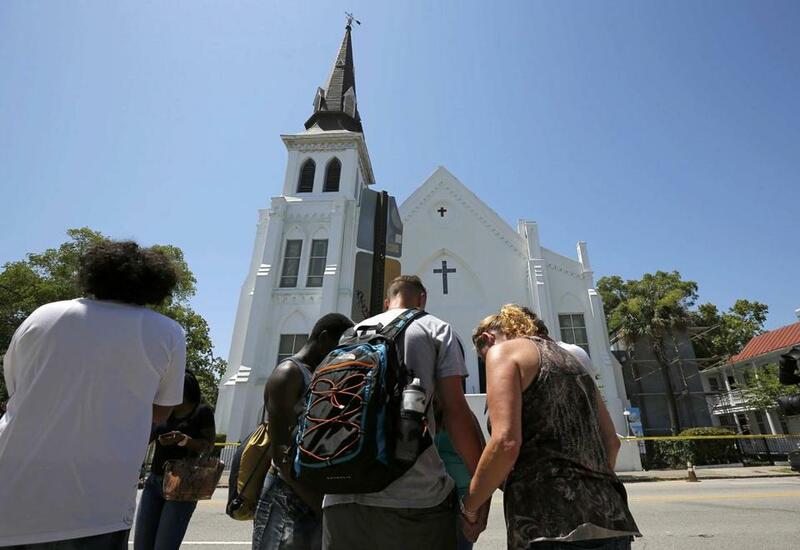 On Thursday, a distraught Charleston Mayor Joe Riley described Emanuel as one of the city’s most sacred places, according to a report in The Post and Courier of Charleston.